On February 9, 2013, the Rev. Dr. Richard Twiss (Lakota) of Wiconi International left us too soon. He was a prophetic voice for decolonization in one of the hardest places—Christian evangelicalism. Twiss insisted that the true mission of the Christian church was not to evangelize Native peoples, but to assist in the decolonization of Native nations. Twiss was not content to hear “apologies” from white Christian churches, but demanded that they materially assist in the decolonization of Native nations. Twiss joked that he no longer wanted to take part in race reconciliation efforts with white Christians that only resulted in apologies. “White Christians always want to wash my feet, and I was having to spend too much money on pedicures.” Instead, Twiss opted for strategies that actually changed Native peoples lives. On May 18, 2004, the city council of Eureka, California, voted to return 40 acres of land to the local tribe, the Wiyot, which had been trying to regain control of this land since the 1970s. To whom did activists from the tribe credit this successful campaign? A constituency not generally known for supporting Native land struggles—the evangelical churches in the area. Earlier, the Humboldt Evangelical Alliance invited Richard Twiss and Wiconi International to facilitate reconciliation between evangelical churches and the Wiyot tribe in California. After taking part in a three-day event, the churches donated $1,000 to help the tribe purchase land on Indian Island, which it had been trying to do for decades. The tribe bought 1½ acres of land before the city council gave the Wiyot another 40 acres. The Wiyot claimed that this reconciliation meeting facilitated by Twiss had paved the way for the city council to return the land. Richard’s vision for decolonization extended to all peoples. He challenged Christian evangelical treatment of Palestinian peoples on the Trinity Broadcast Network (and was not invited back). He worked ceaselessly to build alliances with all peoples impacted by white supremacy and colonialism. Richard never played it safe, but always challenged himself and others to seek God’s justice in this world. He often paid a high price for his prophetic vision, with more closed-minded evangelicals targeting him for supposedly diluting Christian evangelicalism. But Twiss did not respond to such attacks with timidity. He continued to pursue justice regardless of whether the vision would be perceived as properly orthodox. When I saw him a few weeks ago, Richard told me he was rethinking how Christians should relate to LGBT communities and was attending events organized by Two-Spirit peoples in order to educate himself. By his words and example, Twiss demonstrated that it was possible to be Native and Christian. Against critics who charged that Twiss was practicing “syncretism,” Twiss always argued that to be fully Christian, he must also be fully Lakota. Countless times I have met Native Christians who told me, “I thought to be Christian meant I could no longer be Indian. But Richard Twiss changed my mind.” This link is a tribute to the vision of Richard Twiss that deeply impacted so many people. His loss is incalculable, but his legacy will continue in the lives of the thousands of people Richard has touched. 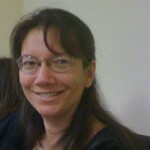 Professor Smith received her Ph.D. in History of Consciousness at UC Santa Cruz in 2002. Previously, she taught in the Program in American Culture at the University of Michigan. Her publications include: Native Americans and the Christian Right: The Gendered Politics of Unlikely Alliances and Conquest: Sexual Violence and American Indian Genocide. She is also the editor of The Revolution Will Not Be Funded: Beyond the Nonprofit Industrial Complex, and co-editor of The Color of Violence, The Incite! Anthology. She currently serves as the U.S. Coordinator for the Ecumenical Association of Third World Theologians, and she is a co-founder of Incite! Women of Color Against Violence. She recently completed a report for the United Nations on Indigenous Peoples and Boarding Schools.